Although no one ended up clutching a trophy Sunday, smiles still came pretty easy for the trio of drivers sponsored by racing legend Tommy Thompson and his Magic Dry Organic Absorbent product. 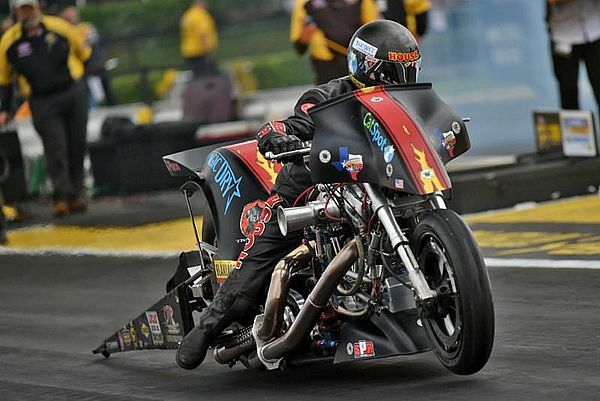 Top Fuel Harley rider Rickey House and Top Alcohol Dragster pilot Shane Conway both reached the semifinals, while Top Fuel favorite Scott Palmer found a little of last year's mojo by winning his first elimination round of the season. "Beating Tii first round was big," House said. "They were ahead of us in the points and that's a great team so it was a big relief to get that win. 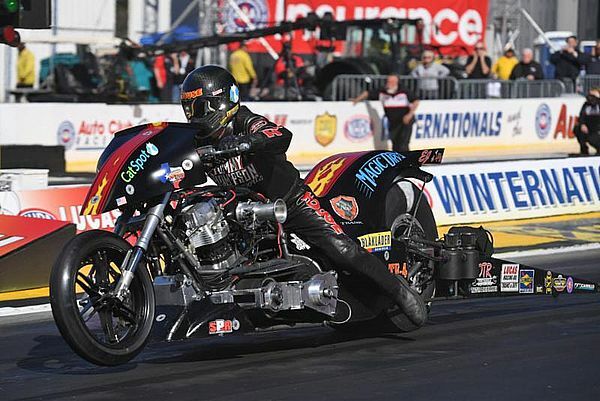 Then I saw that (Doug) Vancil got beat first round too so I knew that would help us in the points as well. I really needed to go into the finals to take full advantage of those two going out early but it just didn't work out."